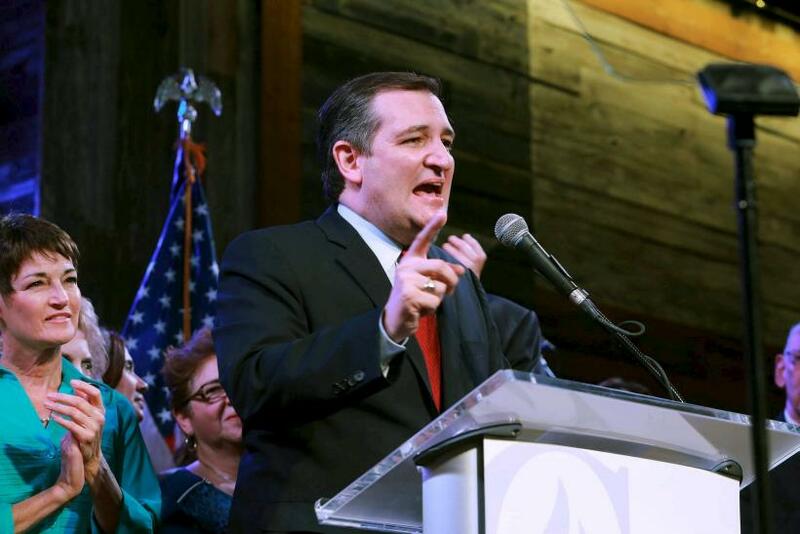 Texas Sen. Ted Cruz won a narrow and surprising win over Republican front-runner Donald Trump in Alaska's caucus on Super Tuesday, the Associated Press reported. Cruz didn't get all of the states 28 delegates; he picked up 12 delegates, while Trump got 11 and Florida Sen. Marco Rubio came in third with five delegates. Super Tuesday marked the day on which 13 states and territories saw voters head to the polls to select a presidential nominee, with Alaska — one of the states with the smallest populations — being one of them. Alaska has been a Republican stronghold for years, and it has nearly as many delegates as Iowa, though its population is less than Iowa's. Heading into the state's vote, Trump had a commanding lead in the polls over his opponents, polling at 49 percent with Rubio in second place at 16 percent. Trump also led in most other states ahead of Super Tuesday, including Virginia, Georgia, Massachusetts, Oklahoma and Alabama. More than 130,000 Alaska residents were registered as Republicans last week, and the state GOP leaders said they were printing more ballots this year because of an expected large turnout. Alaska’s results were some of the last to come in Tuesday, as the polls were open from 3 p.m. to 8 p.m., local time, meaning the polls closed about midnight EST, the Associated Press reported. Being separated from the rest of the continental United States, Alaska only saw one Republican visit the area — Kentucky Sen. Rand Paul, who dropped out of the race last month. Trump has also been endorsed by former Alaska governor and vice presidential nominee Sarah Palin, ABC News reported. While Alaska’s race Tuesday is technically a caucus, the state likes to refer to it as a Presidential Preference Poll.